The Village Auto used car dealership has been in business since 1991. There are three convenient locations to better serve you in the Green Bay area. Village Auto has full service facilities at all of their locations with highly trained technicians. All of their used cars, trucks, vans, and SUVs are professionally detailed and most vehicles include a 30 day, 1000 mile warranty. Village Auto also has financing available at all three locations. Their number one goal is customer satisfaction. Specializing in used cars, trucks, vans, and SUVs from all types of models. 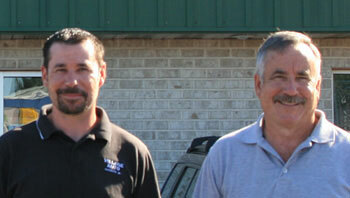 Village Auto has been in the automotive business in the Green Bay area since 1991. Dave Janssen began this used car dealership as a single location just off of Velp Avenue. 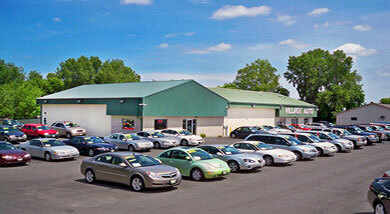 Over the years, with the help of his son, John Janssen, Village Auto has grown into four separate locations and has become a trustworthy, reputable used car and used truck dealership in Green Bay, Wisconsin. One would think that working with family might complicate things. But at Village Auto that's far from the truth. They both explain that working with each other helps run their automotive business more smoothly. Plus, with four locations, there is plenty of work to do without tripping over each other. Dave and John Janssen have the knowledge and experience to smoothly run a successful car dealership business with one key factor: It’s all in the inventory. As far as Green Bay auto dealers go, Village Auto is one that strives to earn your trust. ?Every single used car, truck, van and SUV has been carefully picked and then inspected by their top certified technicians. They also say that finding quality used car inventory is the hardest thing about running a successful used car dealership. But once they do, after all the inspections and reconditioning, the vehicles are on their lots, ready for a new owner. Since Village Auto does everything in-house, they are able to keep their prices quite competitive against other car dealers. Village Auto is a used car, truck, van and SUV dealership but they specialize in the sale of used trucks mostly. Dave and John were both eager to say that they own trucks, drive trucks, like trucks and sell trucks. Keep this in mind; Village Auto is a dealership that loves its used trucks. Straight up Four Wheel Drive used trucks. In fact one of Village Auto’s craziest vehicles sold was a used truck. It was a 2001 GMC 2500 with 15” lift that had clown faces airbrushed down its side. While that may not appeal to everyone, it certainly did to a happy customer in Milwaukee, WI. When asked, what was the most satisfying aspect about owning and operating a used car and used truck dealership both Dave and John were all smiles. Dave quickly said that is was that he could create his own destiny, the amount of time and effort you put into your business directly reflects the outcome. Case in point, over the last two years the used car inventory at Village Auto has nearly doubled. Just a few weeks ago, on July 1st, the fourth Village Auto dealership opened its doors on Highway 29 in Green Bay, WI. It’s a much bigger facility than the other three, but with a high demand for good quality used cars in Green Bay, it was the right step. As for the steps that will follow Village Auto into the future, there are none. The Janssen’s believe for right now it’s best to concentrate on Village Auto’s current locations. By keeping up the high quality of used cars in inventory, continuing with great customer service and maintaining ace certified technicians at each location, the rest should follow.